Tesla CEO Elon Musk was a bit of a jerk to some analysts during the company's latest earnings conference call. But it seems like all is forgiven. Wall Street still loves Musk's electric car company. Shares of Tesla (TSLA) rose as much as 6% Tuesday after KeyBanc analyst Brad Erickson said in a report that he expects Tesla to deliver 30,000 Model 3 cars in the second quarter, and nearly 120,000 for the full year. But the stock pared some of its gains later Tuesday after Musk tweeted that the company was laying off 9% of it workers as part of a reorganization to help reduce costs and make the company profitable. Tesla's stock is still up more than 40% from the 52-week low it hit back in April though. And shares are just 10% from their all-time highs. "Bears need evidence that Model 3 demand is softening or that production isn't ramping," Erickson wrote in his report, adding that this doesn't seem likely in the near term. It's been a strange couple of months for Tesla though. The stock took a hit earlier this year because of concerns about whether the company could meet Musk's ambitious goals and deadlines for Model 3 deliveries. KeyBank's Erickson doesn't think that the reports about the crashes will hurt demand though, saying in his report that "anecdotal concerns surrounding perceived safety quality seem to remain just that — anecdotal." Erickson added that Tesla could wind up "maintaining its almost legendary status in the eyes of customers." But some would argue that Musk has made matters worse lately and may be tarnishing the company's image by acting like one of the company's Model S cars -- in ludicrous mode. He "joked" in an April Fool's tweet about the company going bankrupt. And he dismissed two analysts as being "boring" and "dry" during a bizarre conference call last month. He even turned the call over to a YouTube video blogger when he got tired of the questions from Wall Street. Musk eventually apologized (sort of) for his behavior, saying in a tweet that it was "foolish" to ignore the analysts. 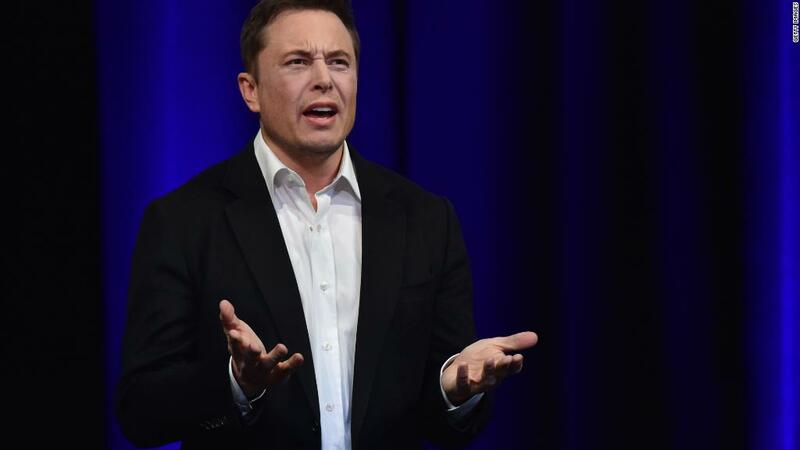 But Musk added that he still thought the questions were "boneheaded" and "absurd," and claimed that the analysts were representing short sellers who are hoping to profit when Tesla's stock goes down. Despite Erickson's bullish call, many analysts remain bearish on Tesla. The average price target for the stock is just a hair under $309 a share according to Thomson Reuters -- 10% below its current price. Some think that competition from established auto giants like GM (GM), Nissan (NSANF) and Daimler (DDAIF), not to mention self-driving cars coming from Uber, Google (GOOGL) and other tech companies -- will prove to be Tesla's undoing. And it's not as if Tesla is just trying to make passenger cars either. It also has an electric semi-trailer in the works. Tesla is in the process of integrating its acquisition of solar roof panel maker SolarCity, too. So who could blame Musk for feeling like he's in a pressure cooker? But for now Tesla's shares are as hot as one of The Boring Company's new "flamethrowers," and Musk is having the last laugh.